In late 2013 I interviewed four Bream Tournament Anglers for an article for Fishing World Magazine. 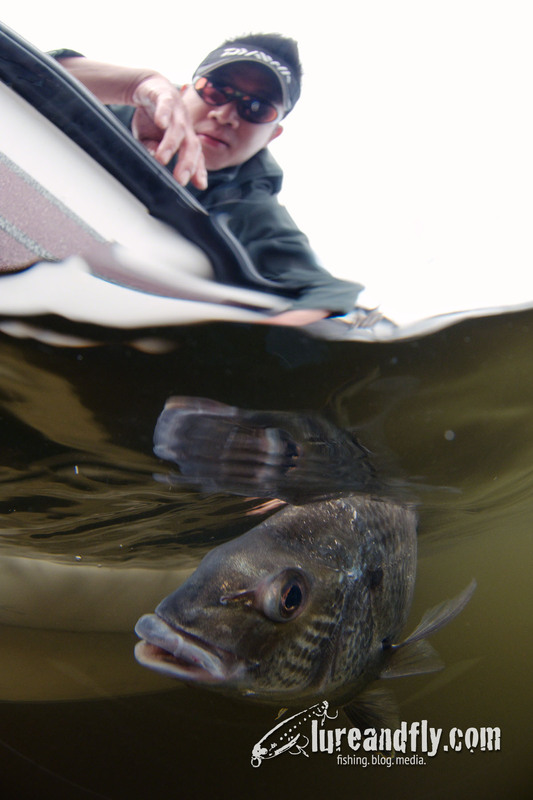 They shared their secrets to consistently catch big bream on lures. This is the first part of the article as it appeared in the December 2013 issue of Fishing World Magazine. Deep down, whether they care to admit it or not, every bream angler has an inner drive to catch a trophy, that keeps them coming back. 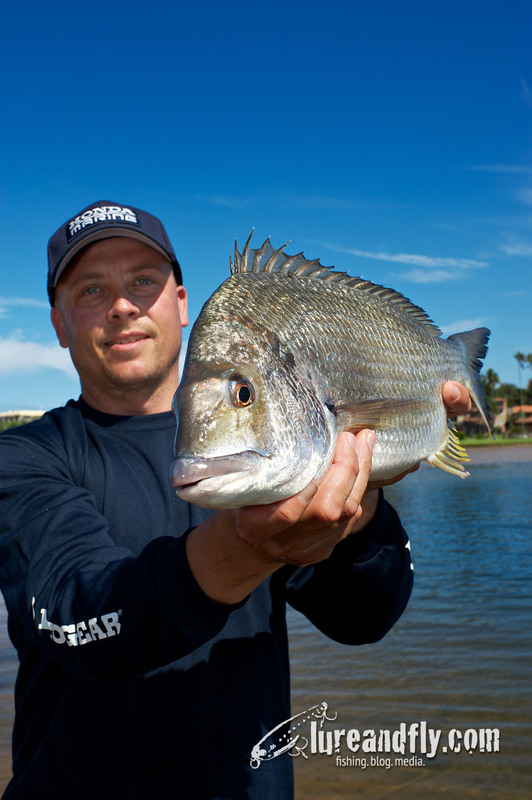 Because of its accessibility to all anglers, boat and land based, lure fishing for bream is arguably one of the fastest growing techniques in Australia. For most, the elusive 2 kg mark is the Holy Grail, but in all reality, in today’s pressured waterways, and with every other angler out there becoming proficient at targeting bream on lures, to consistently catch fish over a kilo is a feat in itself. I interview four current tournament anglers. Each has their own preferred technique and preferred conditions, but the one thing that they all have in common is a reputation and knack of being able to locate and catch big bream. NSW South Coast local Steve Gill is currently ABT’s second highest ranked BREAM angler in the country. The Ecogear and Honda Marine Sponsored angler has an enviable reputation amongst his peers as a big bream magnet. With a PB 2.409 kg Black bream to his name, caught at Port Sorrell in Tasmania, and a 1.6 kg Yellowfin bream from the Hawkesbury, Steve has shown his versatility, even in some of Australia’s most fickle waterways. 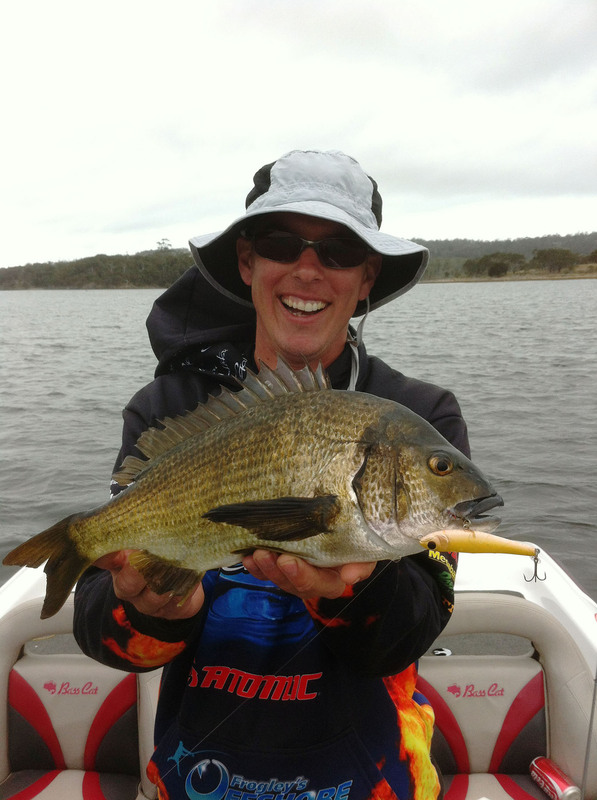 Tasmanian, Leigh McKenzie is luckier than most in that he lives on one of Australia’s Big Bream Mecca’s, the Derwent River. Socially he’s cracked the 2kg mark a few times, he’s won big bream at numerous Tasmanian venues, won 9 bream classic events with 4 team championships and in 2007 weighed in a whopping 12.89kg for 10 fish during the Derwent River Qualifier. 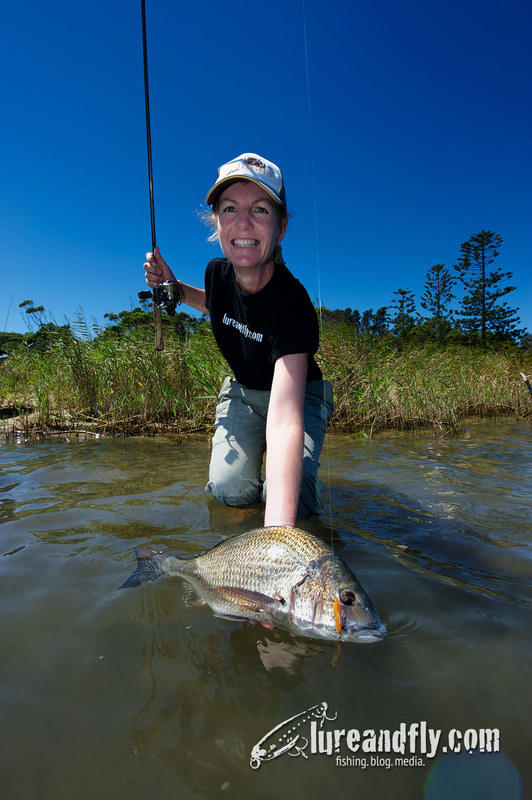 Hailing from Wollongong, South of Sydney, Vicki Lear is arguably Australia’s most successful Female Tournament Angler, Vicki Lear and Husband Scott are undeniably Flats fishing experts. 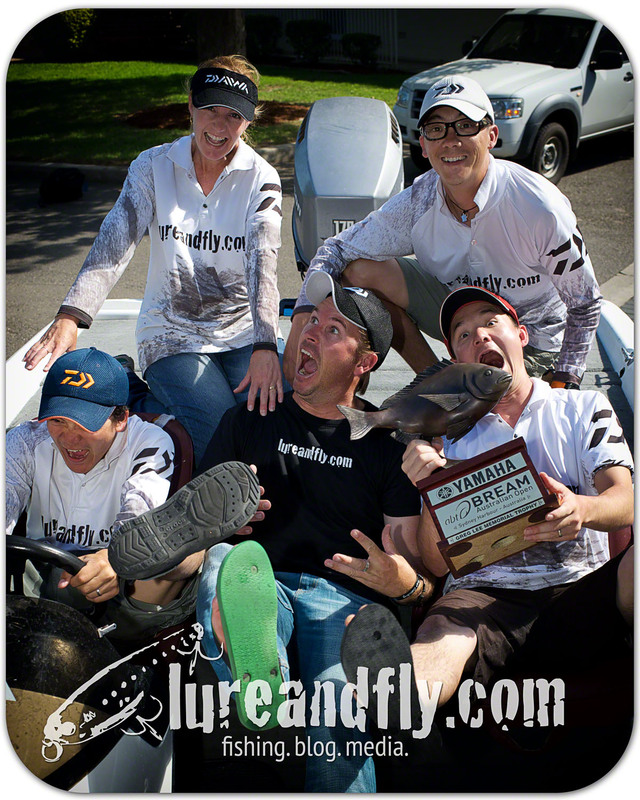 Fishing individual and teams events, as well as from a Kayak, Vicki has won no less than 5 Big Bream prizes during competition, confirming her versatility as an angler. Sydney local Ian Seeto has achieved what no other angler in the history of Tournament Bream fishing in Australia has been able to. 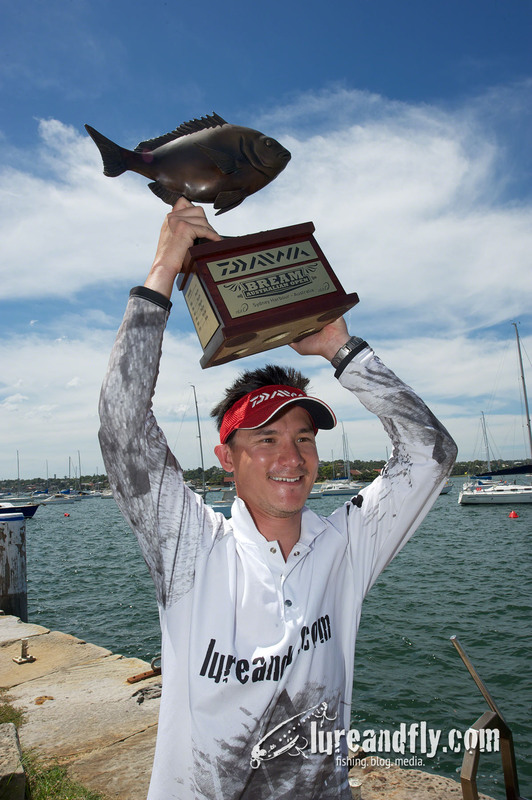 In 2 consecutive years, Ian has won the coveted Australian Open Championship fished on Sydney Harbour – a 3 day individual event that requires stamina, consistency and nerves of steel. 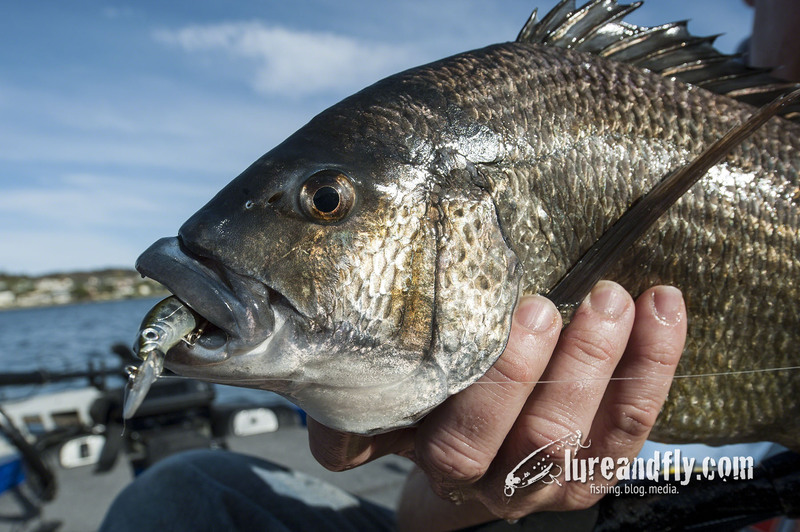 A crank bait specialist, Ian has twice secured the Big Bream at the Hawkesbury river and once at the Clarence River during competition. Tell us about your most memorable outing/capture. SG. Without a doubt my most memorable outing was in Tasmania in 2012 when I towed my boat down there for the ABT Qualifier on the Derwent River. It’s an expensive exercise to get the boat and vehicle across Bass Strait so I decided to spend 2 weeks there and chase my first 2 kg plus bream. My first port of call was Port Sorell, a waterway with a reputation for big fish. After 2 days without a bite I was having serious doubts of even catching a bream, let alone a 2kg plus dream fish. By day 3, my mate Andrew Rae had had enough and decided to go bush walking with the girls!!! Ha ha !!! Bad choice!! I ventured out again on my own, determined to catch a bream. One hour in and I hooked a beast only to be busted off without sighting the fish. Soon after I hooked and landed a nice fish of 42cm to the fork and around 1.7 kg. I returned to the same location after a few pics and sighted numerous large bream feeding in the shallows. I cast at these beasts and whacked a 44cm fork length fish that weighed 2.143 kg. I was now super excited and wasted many minutes messaging mates back in the land of small bream (NSW). The next fish was 38 cm, which seemed VERY small. On my last pass of the hot spot I hooked the biggest bream of my life so far, weighing 2.409 kg. I absolutely lost it with this fish. Catching a 2 kg bream was the sole purpose of travelling to Tasmania, and to catch 2 in the one day was the most overwhelming achievement in my life. LM. Tough question first off Greg. Nearly every trip I’ve been on I can recall something that made that trip memorable in one way or another. One that comes to mind was on a prefish day before a competition. Patrick Sullivan and I were looking at a couple of hundred bream spread out in a small basin that we couldn’t get to bite anything, even though they were feeding on small baitfish. After an hour of frustration I tied on a Megabass Dog X Junior in Tamamushi and threw it out. A couple of metres into my retrieve on the first cast and it got smashed by a 1.1kg bream that literally launched itself out of the water and landed over a metre away from where it came out. We got out of there pretty quickly and went upriver a couple of kilometres where we got a double hook-up 2nd and 3rd cast. It’s amazing how quickly a day can turn around. VL. 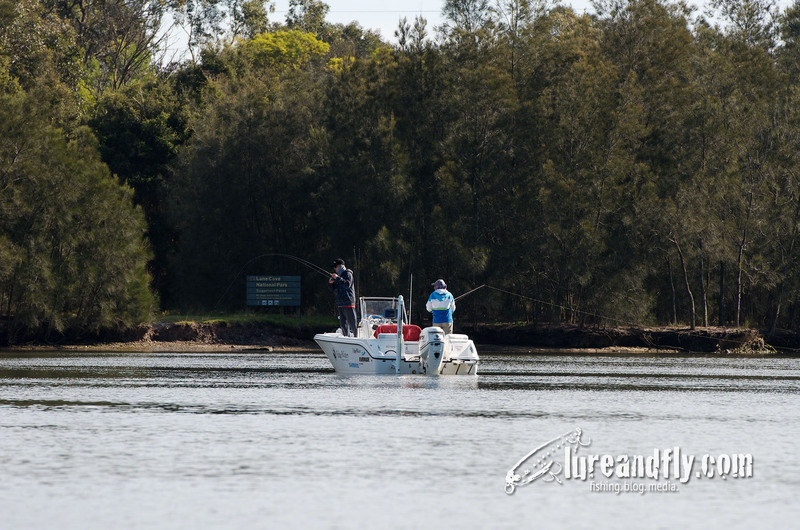 It was fishing with my husband Scott in a team’s event on the Georges River. Flats fishing was just starting to get pretty popular, so at the start of the tournament we shared this particular flat with approximately 20 other competitors. We knew the morning was going to be slow and that the fishing would only improve as the day wore on and the tide dropped out. With most of the boats moving to find greener pastures, Scott and I stuck it out. As we started to compile a bag we realised that we left our net at home and the only thing we had to net our fish for the day was a small bait net. The tense moment for me was when Scott had a hooked a 1.53kg fish and it decided to bury him in the weed. We drove the boat with the electric motor so we were sitting over the top of the fish. As Scott started lifting the fish out the weed I struggled to get this fish to swim head first into the little bait net. It didn’t fit all the way in and I was instructed in quite firm words “Don’t lose this one”. Once the fish was landed there was a sigh of relief and high fives all round. It was the fish that cemented us 1st place with a record bag for the Berkley Summer Series at that time, of 4.67kg for 5/5 fish. 3 of those fish were over 1kg and we had lost 3 fish of the same calibre that day. IS. I would say there are two captures that I would class as my most memorable. One was during the 2012 Australian Open. It was the third and final day, I knew I had a relatively good bag of Bream, probably enough to place me in a money winning position. In the last hour of fishing, I decided to throw crankbaits at a marina near the finish, hoping for one last upgrade. I came to one of the corners of the marina, had cast out, and was watching my line and lure which was almost back at the boat. At that point I saw a school of big Bream come out from under the marina. Seeing the size of these fish, I almost froze solid. I didn’t want to pause the lure, as it was only a couple of metres from the boat. Without much distance left, I slowed the retrieve right down. I can still vividly remember what happened. It was almost like the biggest fish in the school looked left and right at the other fish before darting forward and hitting the lure before any of the other fish could. It was such an aggressive ‘I’m eating this’ strike, that instead of taking the lure straight back to cover, the fish hit the lure and swum straight out into open water away from the rest of the fish. I backed my drag right off and gave this fish a lot more line than I probably needed too. With what ended up being a good kilo plus fish, I wasn’t going to take any chances. As I scooped my net under the fish and completed the upgrade process, I expressed my excitement very vocally. I’m not sure if it was joy, relief or even just a release of my nerves. My observer for the day kindly pointed out that I had drawn a crowd of onlookers from the marina who probably thought I was a little crazy to be shouting and fist pumping over catching a Bream, but I didn’t care and I’m pretty sure that my observer completely understood. The other memory I have is a lot more recent and will no doubt stick with me for as long as my memory serves me. It was my first fishing and boating experience with my son Luca. We didn’t go far from the ramp and managed to get a few casts in between some boats. It was there that Luca managed to catch his first fish. He was so excited and was yelling ‘Breamy, Breamy, Breamy’. When we pulled it up onto the boat and it landed on the deck, Luca was stamping his feet and laughing. The outing only lasted about 40 minutes but the memory engrained in my mind is something that I can only best describe as pure joy and excitement. SG. Most big bream I have caught have been on hard bodied lures, but that would be due to the fact I use them the most. VL. I don’t so much have a preferred technique. I predominately prefer to fish the flats. By flats I mean shallow areas of water. You will mostly find that they are the areas on the other side of the red or green navigational markers depicting areas of shallow water. Fishing these areas I like to use either soft plastic or hardbodied lures. Bream are one of the fussiest fish I know so you have to be prepared to mix up techniques. They will change the way they want a presentation of a lure on any particular day. Some days they like a more erratic retrieve and other days you have to have long pauses in between hops when retrieving your soft plastic, also known as dead sticking. IS. My preferred technique to target any Bream is crankbaiting. Whether it is pontoons, jetties, rockwalls or boats I find that this technique can promote an aggressive strike amongst a school of fish. In warmer months there is definitely quantity over quality and it becomes a matter of patience to get the bigger fish to bite. In the cooler months when most anglers are fishing deep, I have found that there are still some fish, generally the bigger ones, which will still react to crankbaits. What lures do you use? SG. My 2kg bream from Port Sorell were caught on Ecogear MW62F’s . I have also caught many big bream on Ecogear SX 40’s and SX 43’s including a 1.7 kg black bream in the Bream Classic Grand Final at Gippsland Lakes. I’ve also had many fall victim to soft plastics over the years. LM. My favourite and most successful lure for a couple of years now is the Bassday Sugar Minnow Slim 70. I turn to the Atomic Shiners and Bream Shads when the water gets a bit deeper or I need to downsize to entice a bite, and of course the Dog X Jrs for the top water action. VL. Well those that know me can tell you that I love using my soft plastics. Most plastics have worked for me in the past. My go to lure in my tackle box at the moment though is the Squidgy Lobby in either dusk or grenade colour. 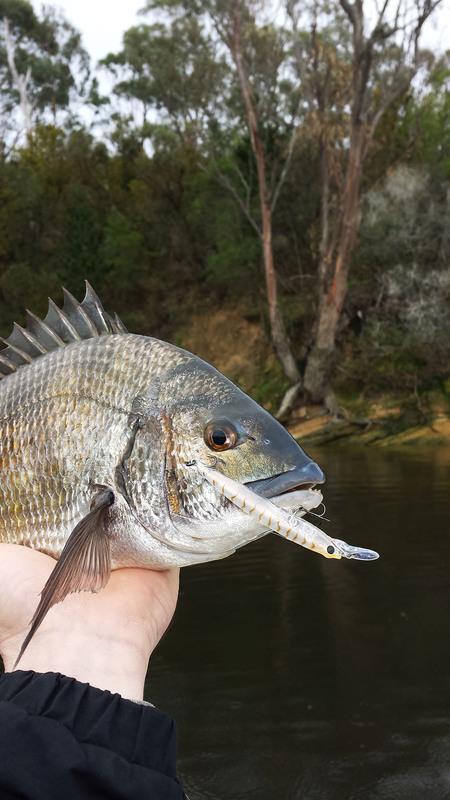 More recently though my two personal best bream have come on, Jackall Chubby & Cranka hardbodied lures. I am convinced it is just as important to have confidence in the lure you are using. IS. There are several key lures that I fish. Generally it depends on the type of structure I’m fishing but my go-to lures that I will almost always have tied on at the beginning of each day are the Atomic crank deep in Muddy Prawn colour and the Chubby deep diver in Brown Suji Shrimp colour. SG. There is definitely a season for targeting BIG bream, though it depends more on what part of the country you are fishing. For example the same fish may weigh considerably less depending on what time of year it is caught. Bream tend to gain significant condition leading up to spawning time and will be rather lean shortly after. The problem with targeting these conditions is that it varies from year to year depending on rain fall and salinity. VL. When fishing the flats I prefer an outgoing tide, so a high tide dropping to a low. You will still catch them on an incoming but if targeting big bream, the one thing all of mine have in common is an outgoing tide. I have caught them at all times of the year whether it be summer or winter it doesn’t seem to deter them. Although the warmer months you seem to get a lot more action, as the prawns are more active over the flats, enticing the big bream in. Like all of us, they have to eat, so in reality they should always be there. It is very difficult to fish flats in what they call “glassed out conditions”. 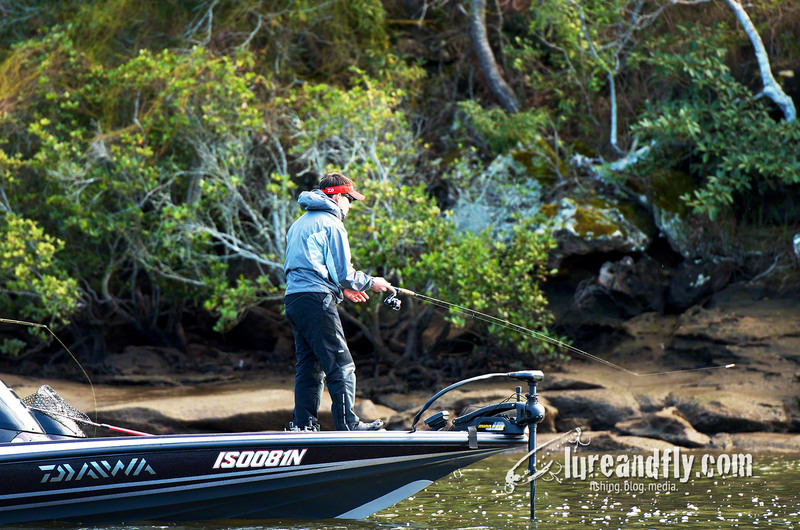 Ideally a little ripple of wind on the water is best to help camouflage you from the fish. IS. My preferred season would definitely be the warmer months. The fish are more active and despite the fact there is generally a lot more small fish around, I find the challenge of pinpointing some kind of pattern around where the bigger fish are, very rewarding. As for what the weather throws at me, I’m not too fussed but if I had to choose, I’d probably prefer to have windy conditions. I find the fish are less spooked while it also drives other competitors to seek more sheltered areas, leaving more of the windy uncomfortable areas for me to fish.